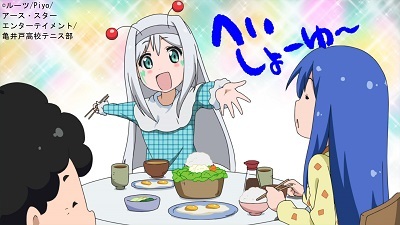 New Game! is a 2016 anime adaptation of the four-panel manga series New Game! written by Shotaro Takuno. The show follows the unlikely (yet very real, in an almost disturbing way) adventures of a high school graduate, Aoba, and her female-only colleagues, as they strive to succeed in producing a NEW GAME! and survive the not-so-forgiving environment of the Japanese gaming industry. And it’s as exciting as it sounds! Aoba Suzukaze, who decided to skip college and get herself a career in the gaming industry instead, is a young illustrator with stars in her eyes and a huge fan of the Fairies Story game series, produced by the very company she managed to get a job with, Eagle Jump. Fresh out of school and inexperienced in the harsh corporate world, she gets herself in various uncomfortable situations but is luckily supported by her friendly yet somehow problematic team. 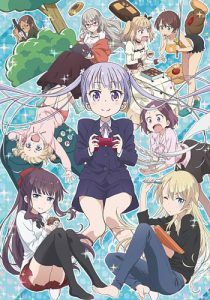 The show develops as the girls all work together to produce the third instalment of Aoba’s beloved Fairies Story. Interestingly enough given the theme and genre of the show, which would be categorized as a seinen, I found the story bearing potential to be very appealing to a female audience. All the characters are young hard-working women who invest a lot of time and energy in what they’re passionate about; whether it’s 3D animation, programming, or character design. Even though you cannot expect to find a fujoshi character in such a show, you get to see the girls feeling comfortable around each other and displaying individualized intriguing personalities. We get to have a glimpse at their personal lives, fears, and insecurities, which makes them approachable and to some extent allows the viewer to empathize with what they’re going through. At the same time, they maintain very professional respected roles in the company they work for, and deeply care about their work and career. Their very existence and the relationships they build while working for a common goal is the very essence of the show. As the story develops, we are gradually introduced to the girls and the skills they offer to the company. The story does not have any exciting developments or breath-taking plot twists; even though they constantly discuss how busy they’re about to get, the tension remains quite low and mostly focuses on Aoba’s gradual improvement in various tasks through dedication and hard work. The rest of the cast seem to be quite knowledgeable of what they’re doing and act as mentors for her as she familiarizes herself in the company by a very entertaining ‘trial and error’ process. Thinking about the art of the show, the very first thing that comes to mind is Aoba’s hair in the first episode and how fluent that first bit of animation was. Even though the show does not really offer much ground for exciting animation (since the characters literally live in an office space), the aesthetics and quality of the artwork are constantly maintained in a respectable level of quality. The various backgrounds visualizing the moods and thoughts of the characters are quite adorable and add nice bits of variety, and the CGI scenes picturing the development of 3D characters and other digital illustration work are very realistic and a great overall addition to the show. Surprisingly, I found the voice acting to be very satisfying as well; on most occasions, I am very, very uninterested in voice acting. Umiko’s low, deep voice (played by Chitose Morinaga, who is actually a rather new member of the voice acting industry) is my personal favourite, but even when it comes to realm of annoying high pitched voices, like the case of Aoba’s best friend, Nene, it’s not doing too bad, unlike many, many, MANY other anime of the genre that make me want to drill into my ears. The music however, is a bit generic; the opening theme is the rather regular bubbly soundtrack that usually accompanies that type of show, but the closing one is pretty bad… Every time I listened to it I was trying to figure out whether the singing or the music (or both) were out of tune. #NewGame is such a fantastic #anime! Thanks @Sharkimoto for recommending it to me. Considering this is a four-panel manga adaptation, the continuity of the show has been constructed successfully, and it really feels like the anime does its own thing independently of the original. The gags taking place are quite standardized in terms of content and structure: the characters work hard to achieve something, they do something wrong in the process, and then find themselves in various mildly uncomfortable situations, my favorite being the bear-shaped sleeping bag incident, which I found absolutely hilarious. The most dramatic of all scenes is probably when Hajime and Nene discuss spoilers out loud in public, and almost find themselves facing the wrath of the gamer community. 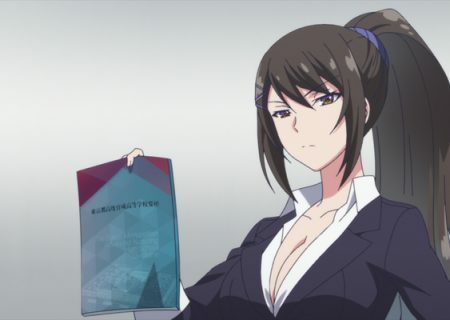 I guess the most important theme portrayed (and very dominant, throughout the whole show) is the status quo of office life in Japan, especially in the case of game designers and animators. All the members of the team (especially Ko, the most talented/hardworking/competitive one, and the one everyone looks up to) are consistently sleeping at work and come in during the weekend. It is no secret that being anything close to a salary-man in Japan is extremely hard work, but seeing how casually this was presented in the show was still quite the shock for me. I also found it quite depressing to see in the second episode most of the girls admit they have no personal lives due to their working hours. The hierarchies in the company environment are also pretty rigid, even though everyone seems to be rather friendly. Aoba gets told off for using the wrong tone with Ko, and is repeatedly reminded to not stray from her desk because she’s still on the clock. Hifumi feels responsible for not telling off the girls for fooling around, being it her responsibility as their senpai, and Umiko persistently bullies Nene in every possible way. Horrifying overtime and office-life nightmares aside, New Game! provides the viewer with an interesting look at the structure and activities within the gaming industry. So is New Game! worth the watch? I would say yes. Even if it’s not mind-boggling in any way, it serves its purpose rather well, it is aesthetically pleasing and entertaining, the characters are engaging and, especially if you’re interested in games and animation (which, to be honest, if you’re reading this, you probably are), it will provide give you a taste of how all this stuff we love is made, with the occasional joke here and there. Even though the cast is all female, it doesn’t give off an overly sexual tone but a rather relaxed one, and it depicts what an all-female creative office environment would probably be like. Apart from the overnight-sleeping-under-your-desk-in-your-underwear part, maybe. Even though it’s pretty damn comfortable, you’d end up waking up all sweaty and disgusting if you don’t layer your pajamas properly. Here’s a little bonus imagery for ya! That’s a wrap everybody, please don’t stay overnight. Overall, an enjoyable show. If you have watched New Game! let us know what you think in the comments section below. Make sure you tune in for the second season episode reviews in MANGA.TOKYO. All reviews for NEW GAME! New Game!! Episode 2 Review: This Is Just Turning Into Cos-purr-lay! New Game!! Episode 3 Review: Ooh, I’m So Embarrassed! New Game!! 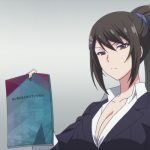 Episode 4 Review: How Dense… Can You Be? New Game!! 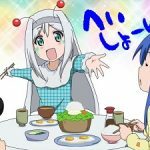 Episode 5 Review: Hey! Don’t Touch Me There! New Game!! 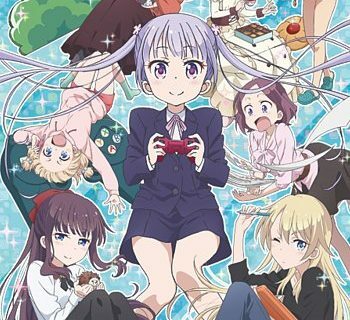 Episode 6 Review: Wow… It`s So Amazing..
New Game!! Episode 9 Review: At Least Put a Shirt On! The second season of NEW GAME! is part of our episodic reviews for Summer 2017!